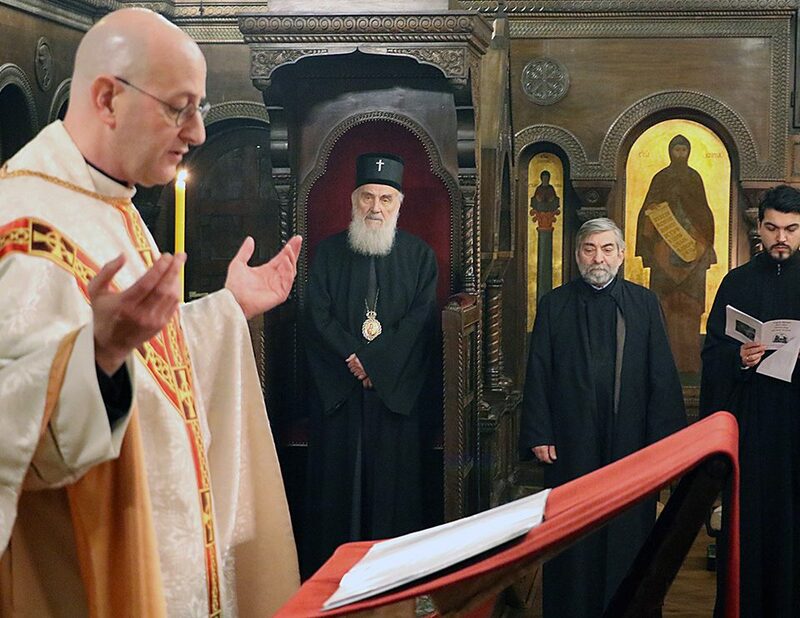 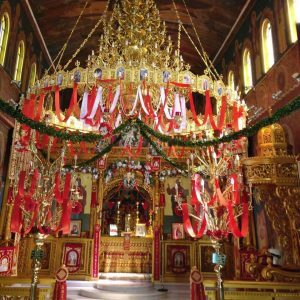 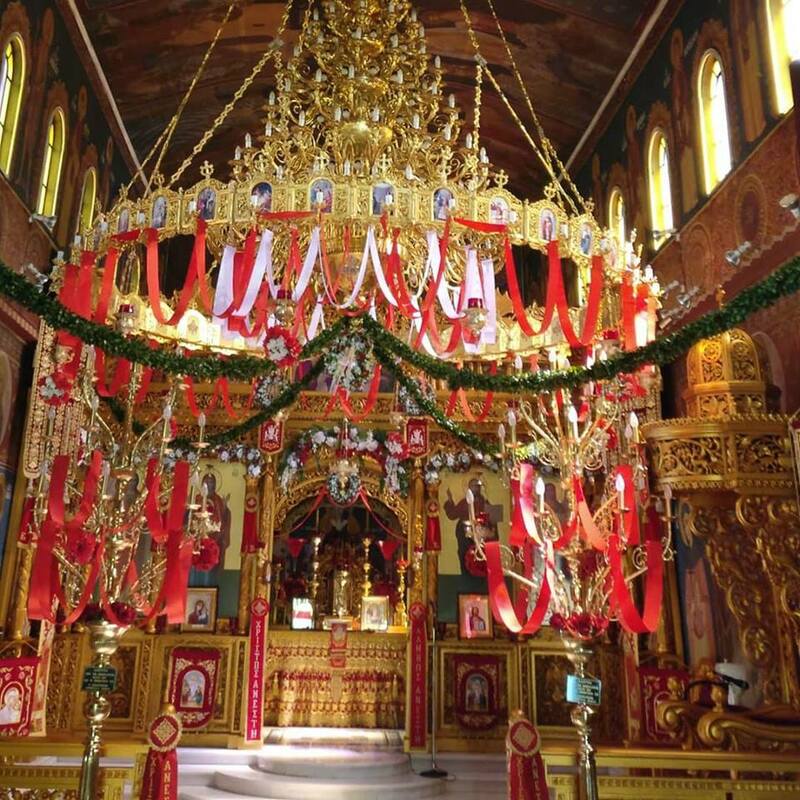 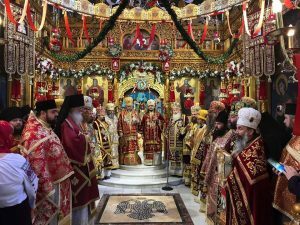 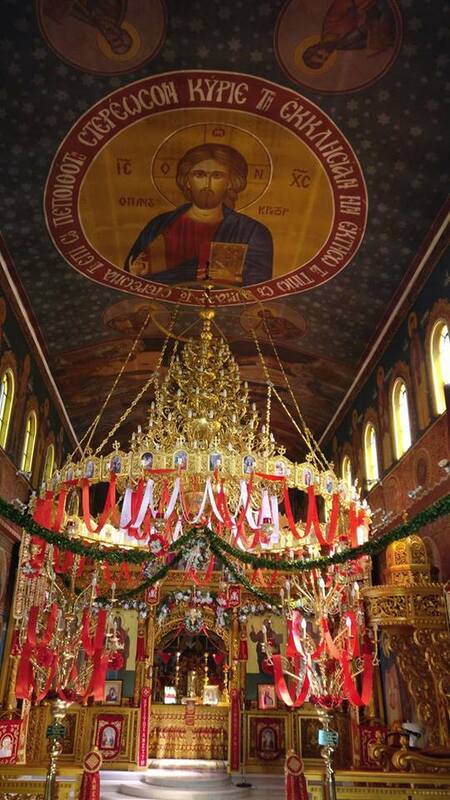 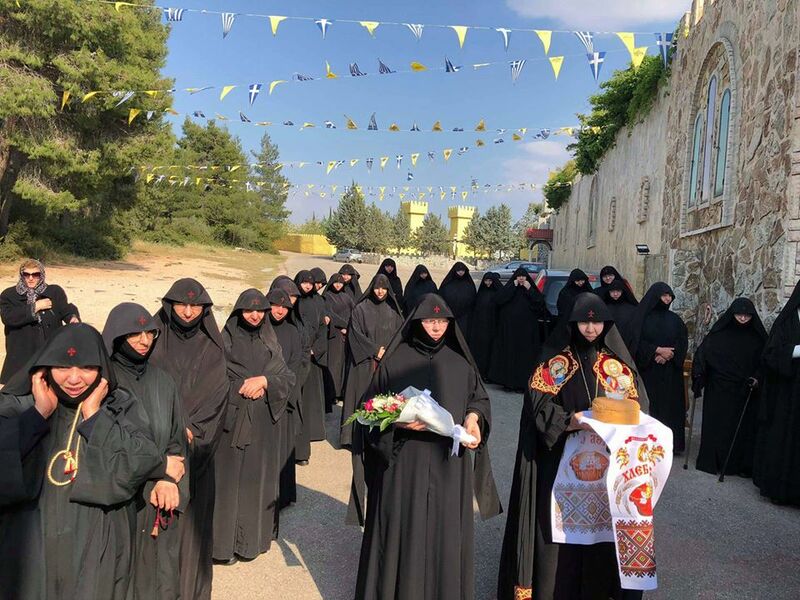 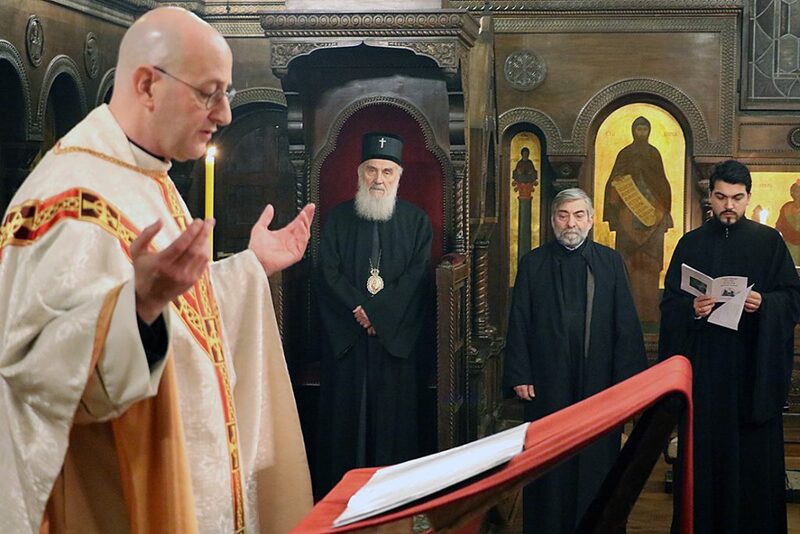 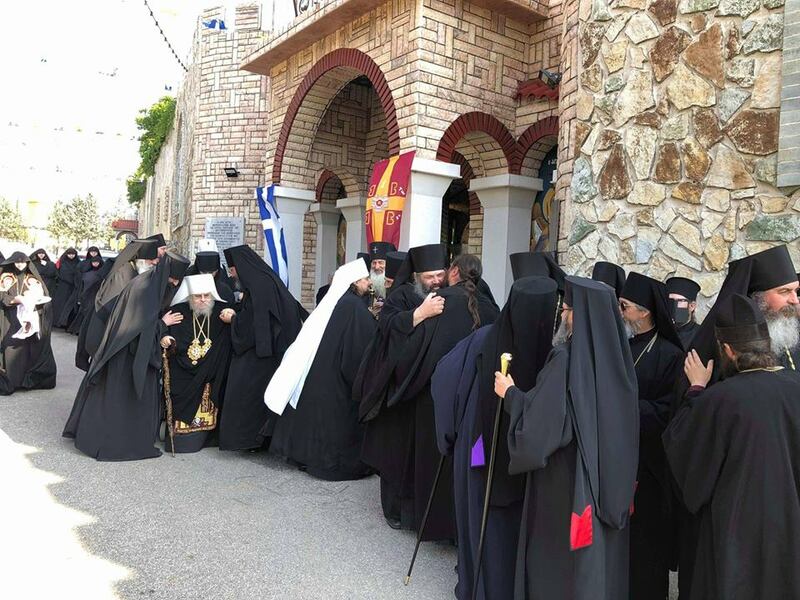 Ecumenical Patriarchate to Allow Remarriage of Priests? 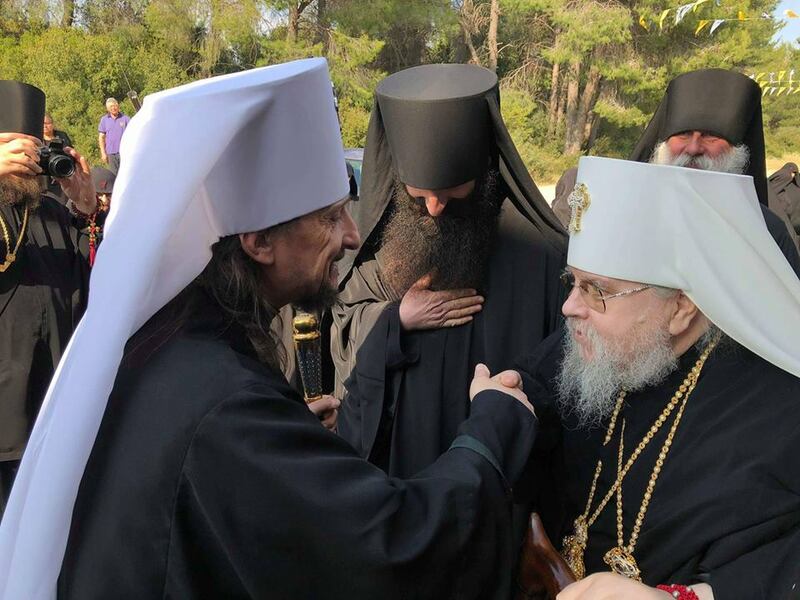 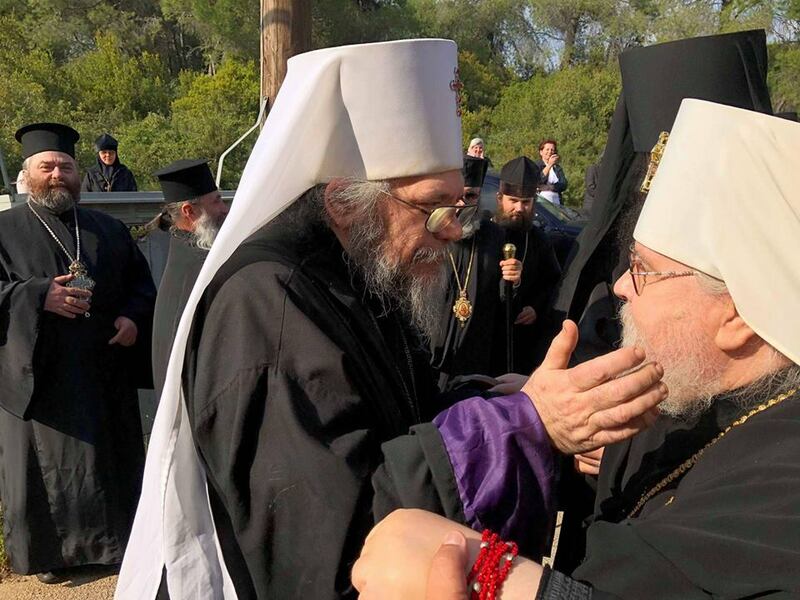 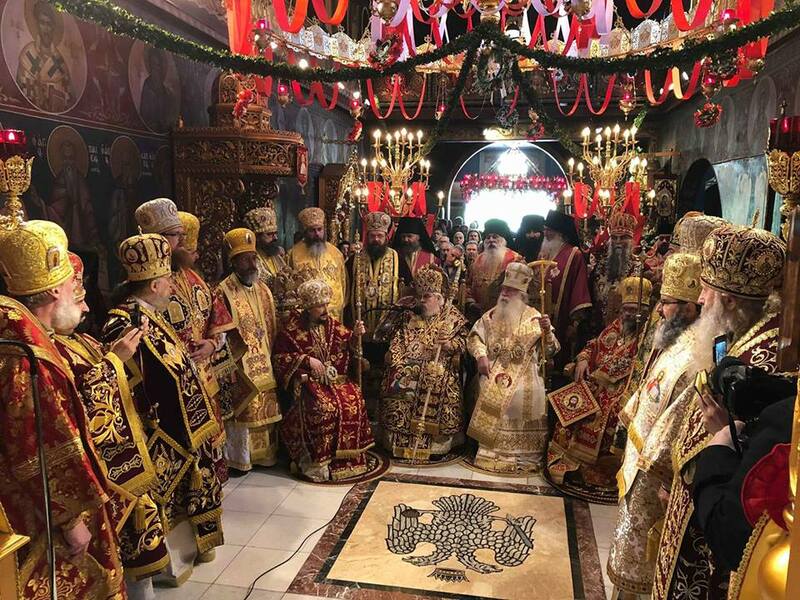 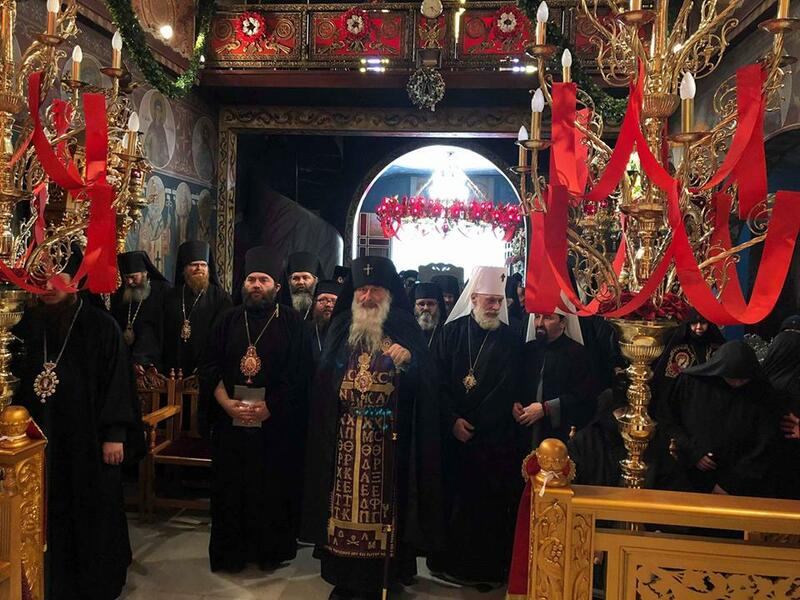 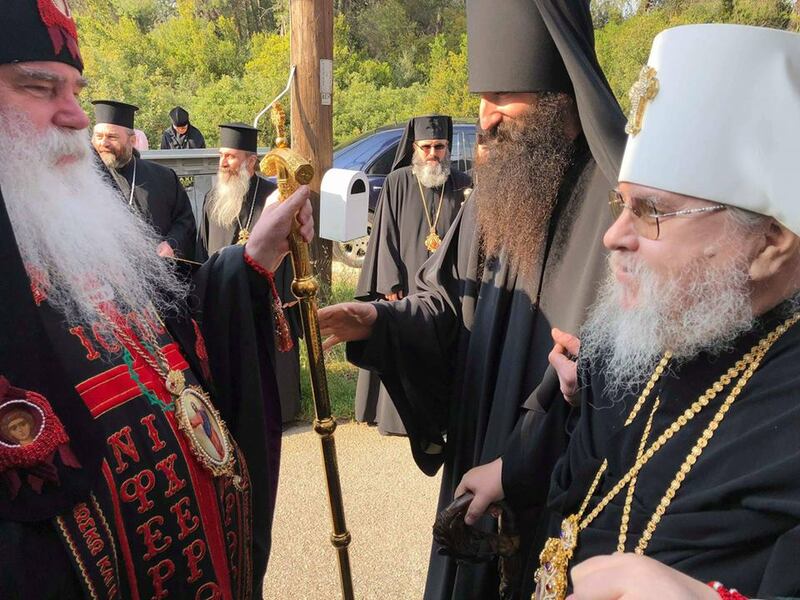 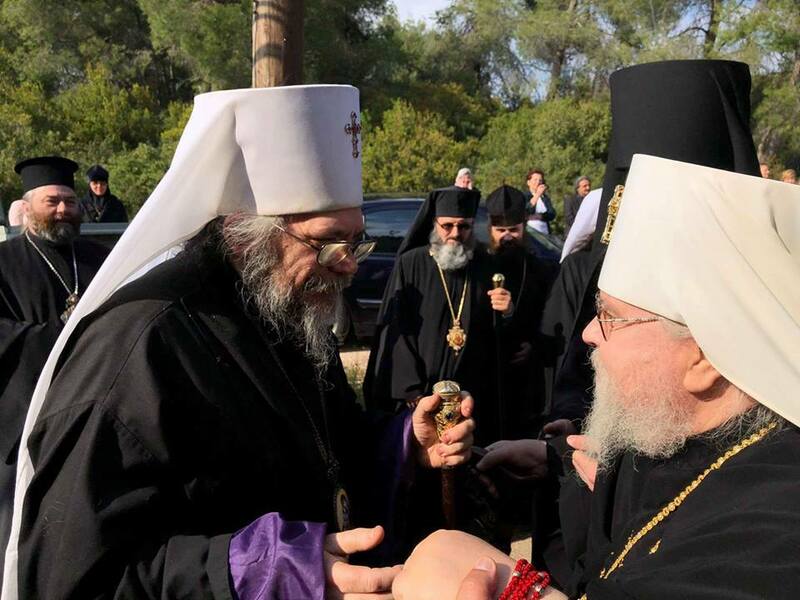 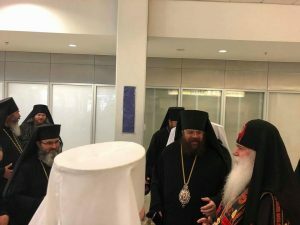 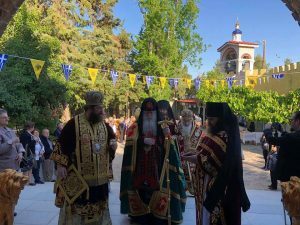 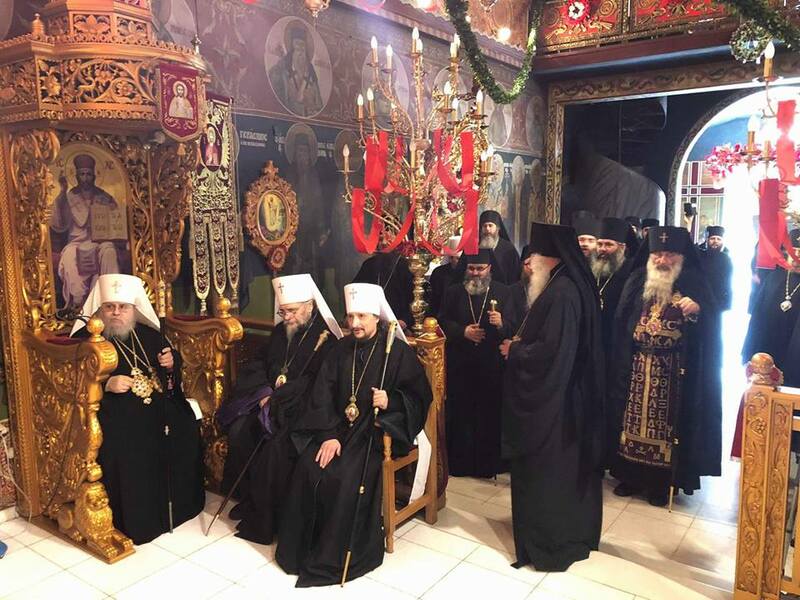 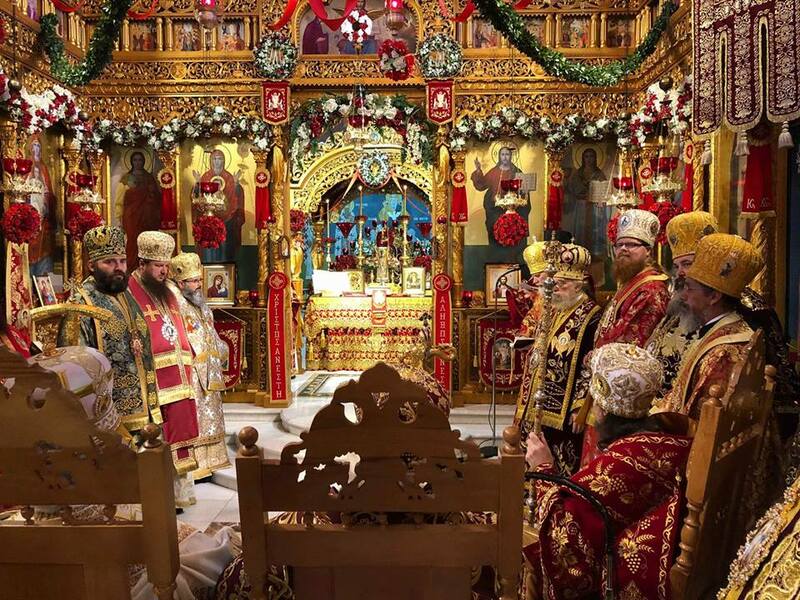 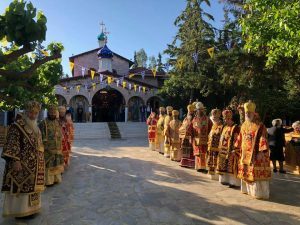 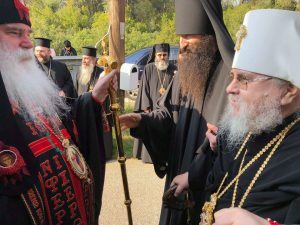 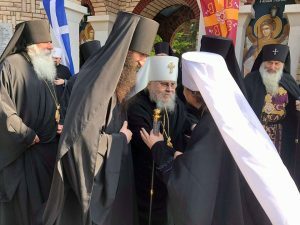 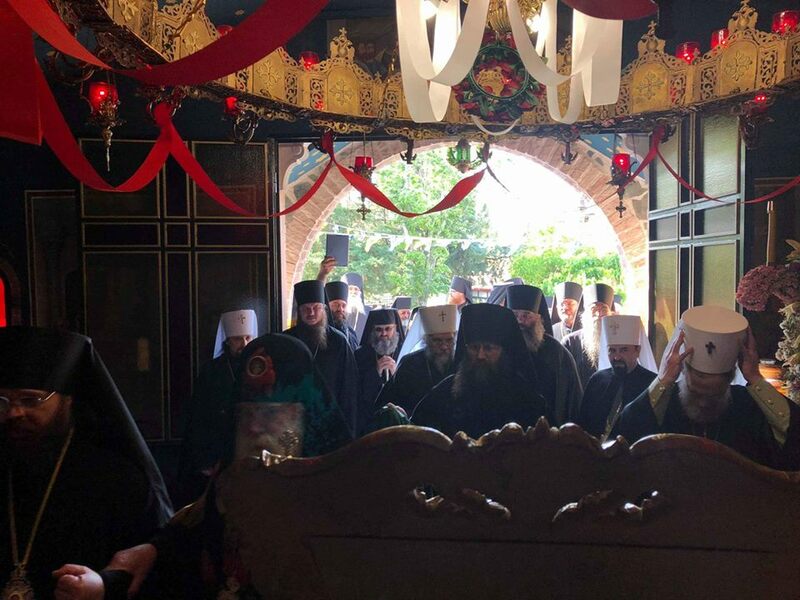 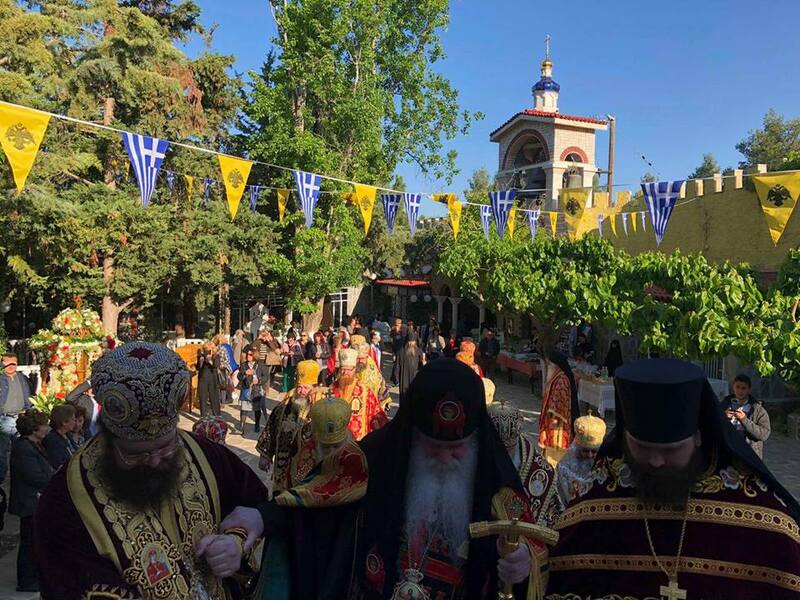 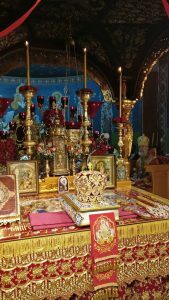 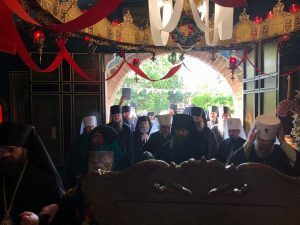 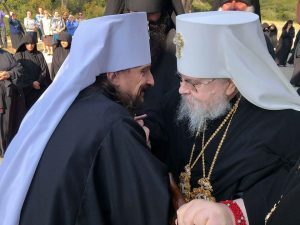 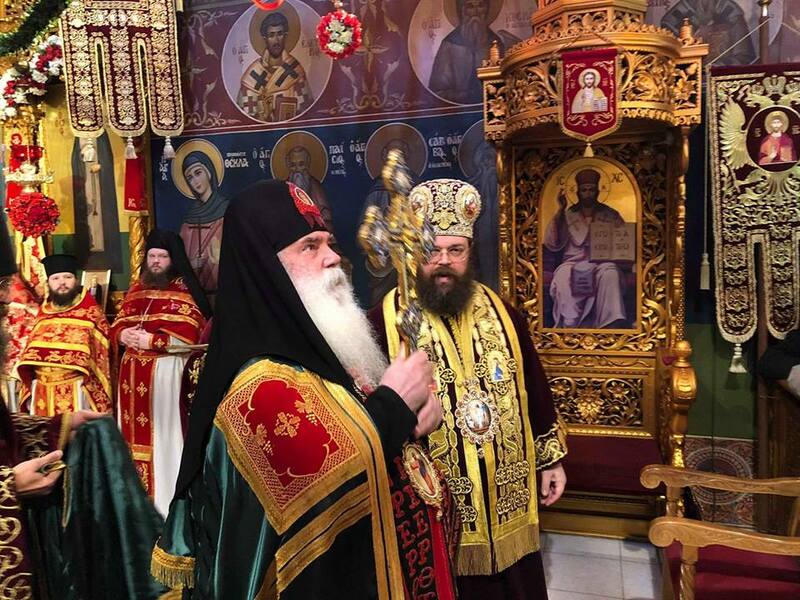 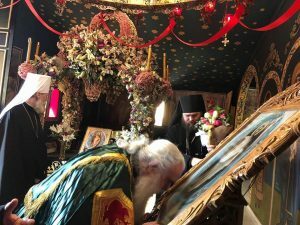 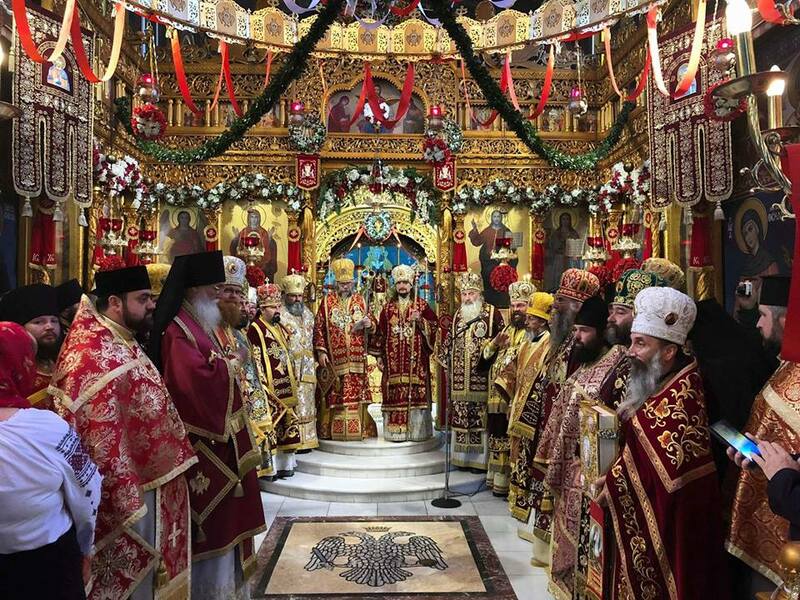 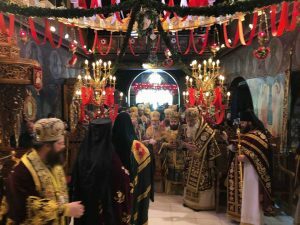 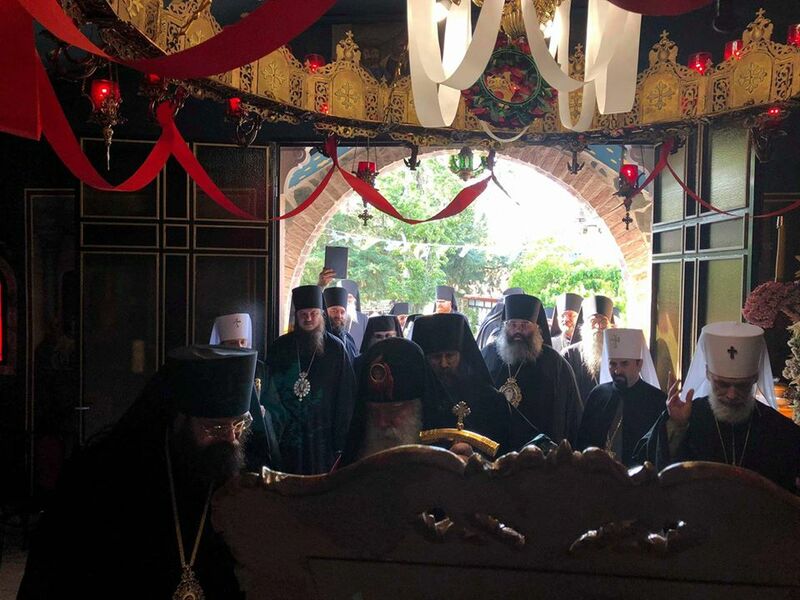 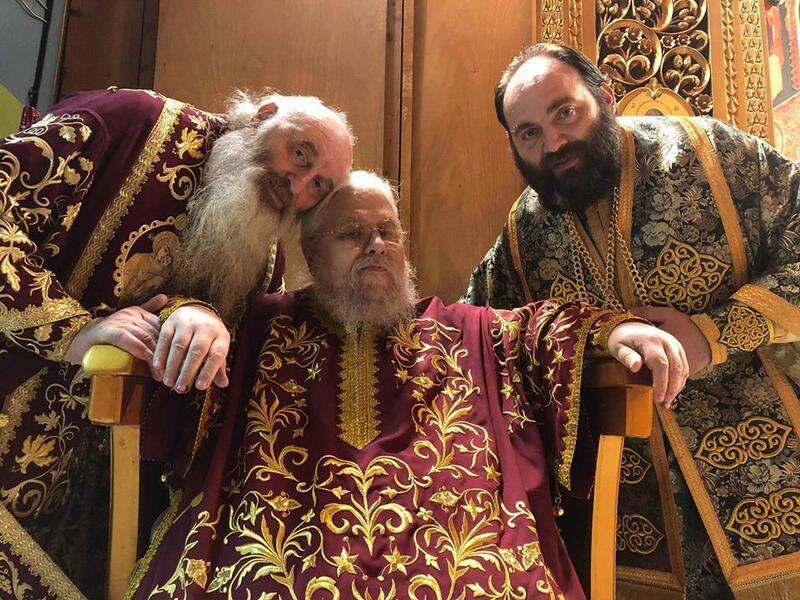 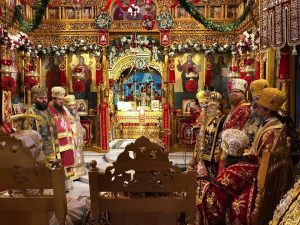 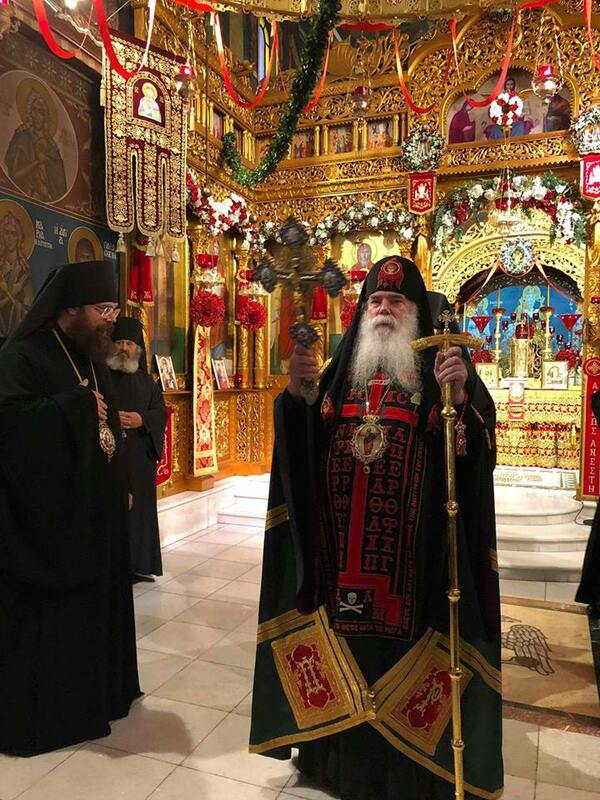 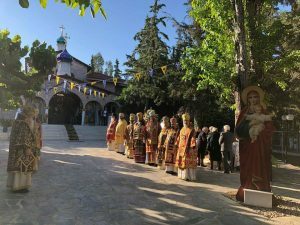 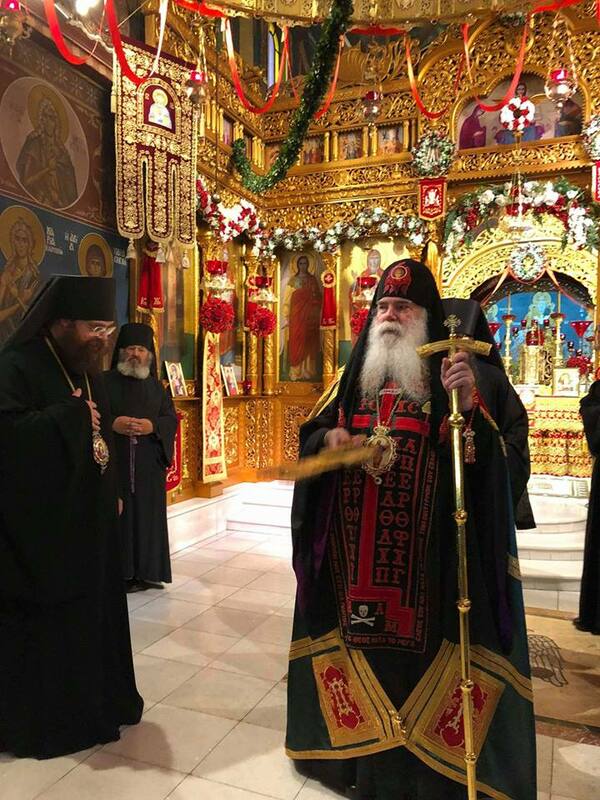 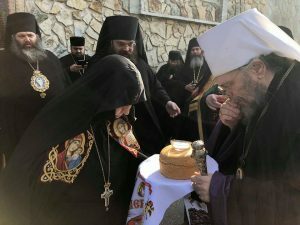 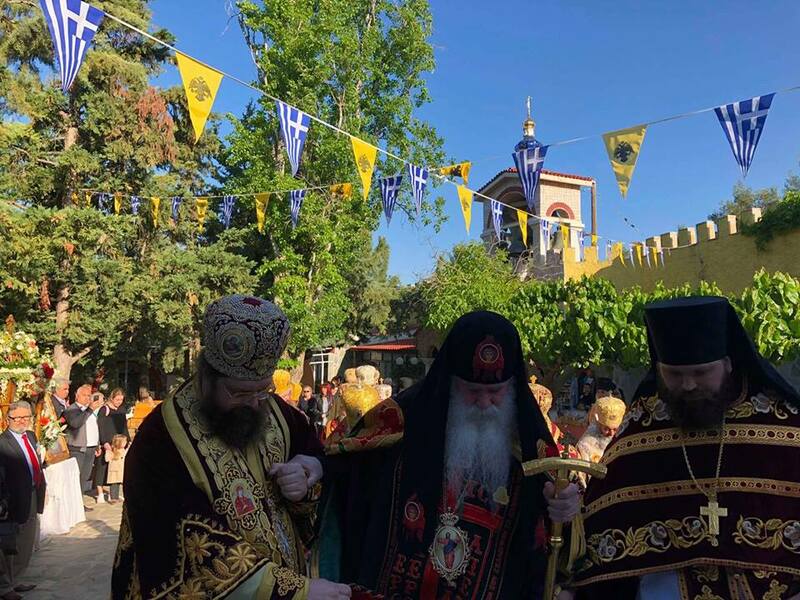 Over the past year, discussion were held between the Bishops of the Autonomous Orthodox Metropolia and the Churches of Metropolitan Anghelos of Avlona and Metropolitan Seraphim over the question of acceptance of the heresy of Imyaslavie. 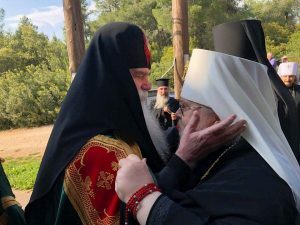 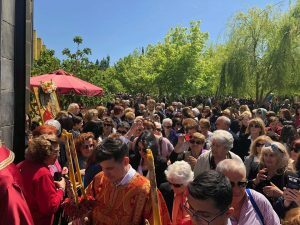 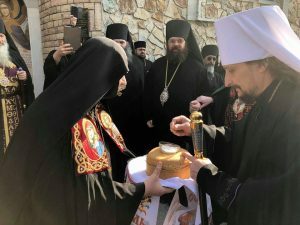 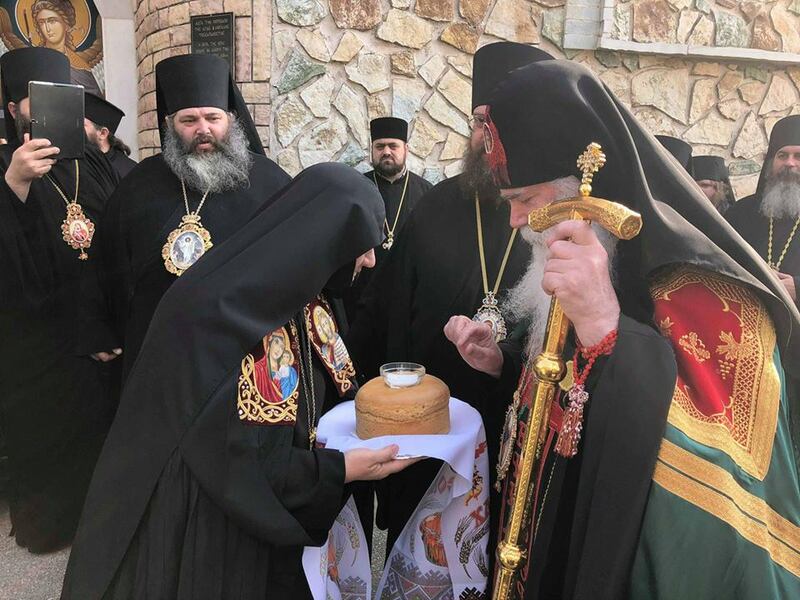 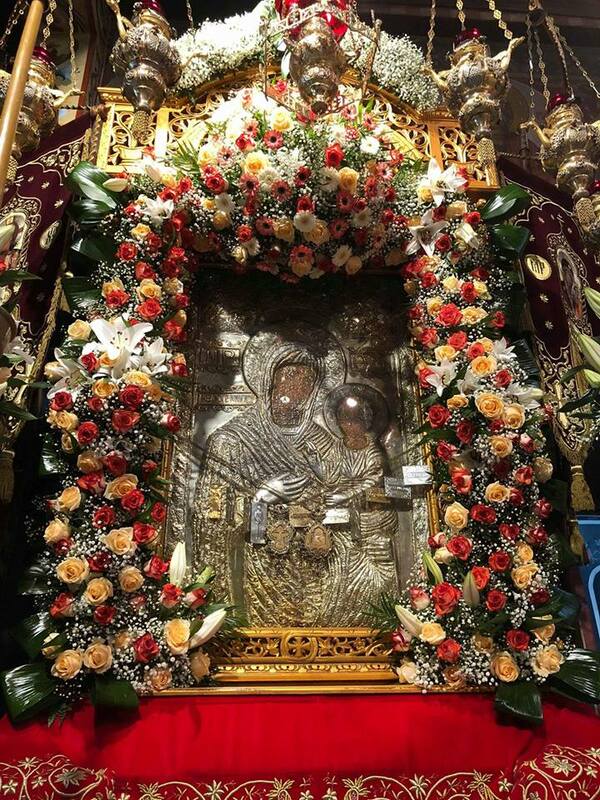 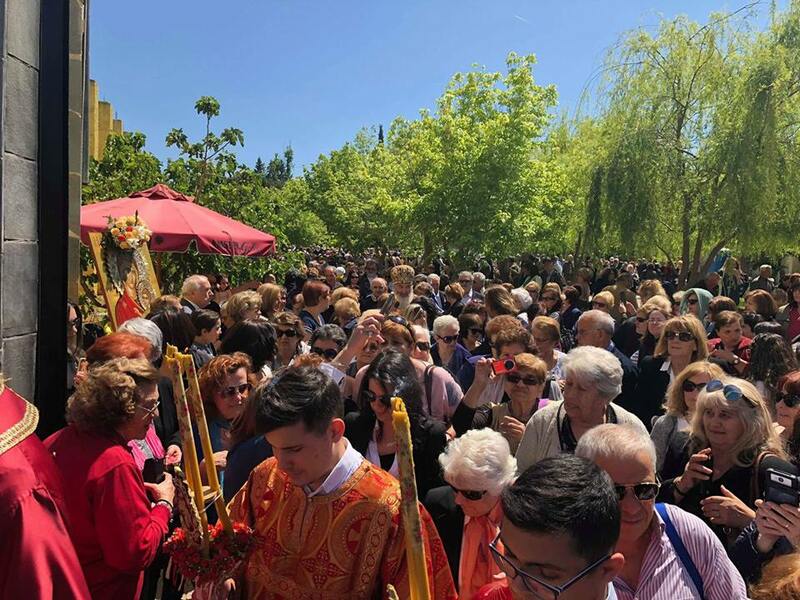 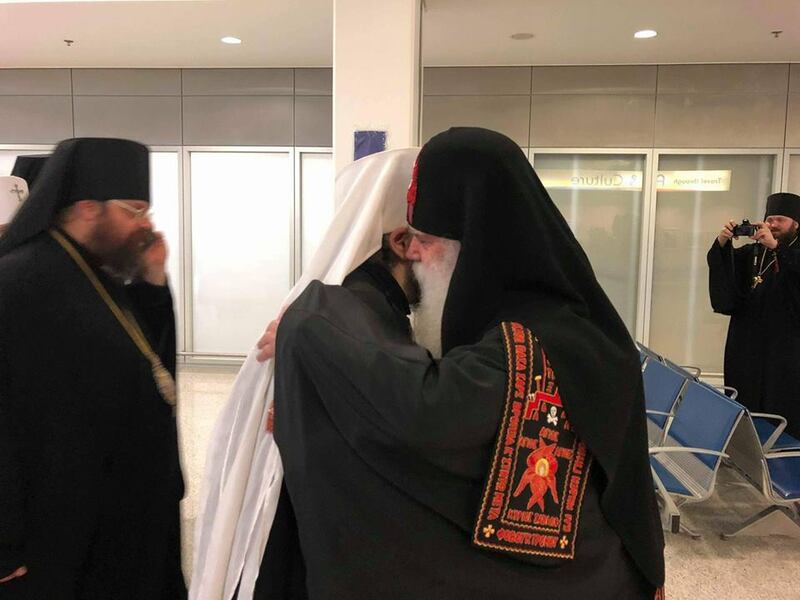 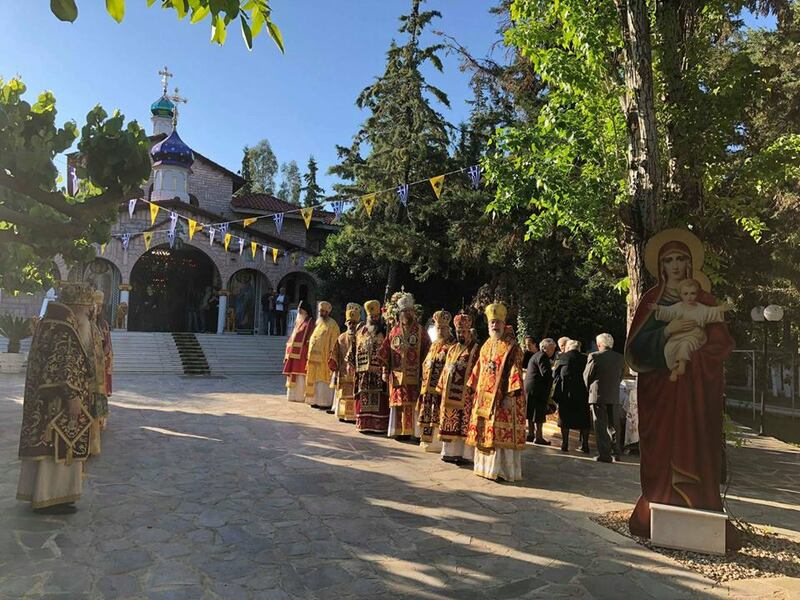 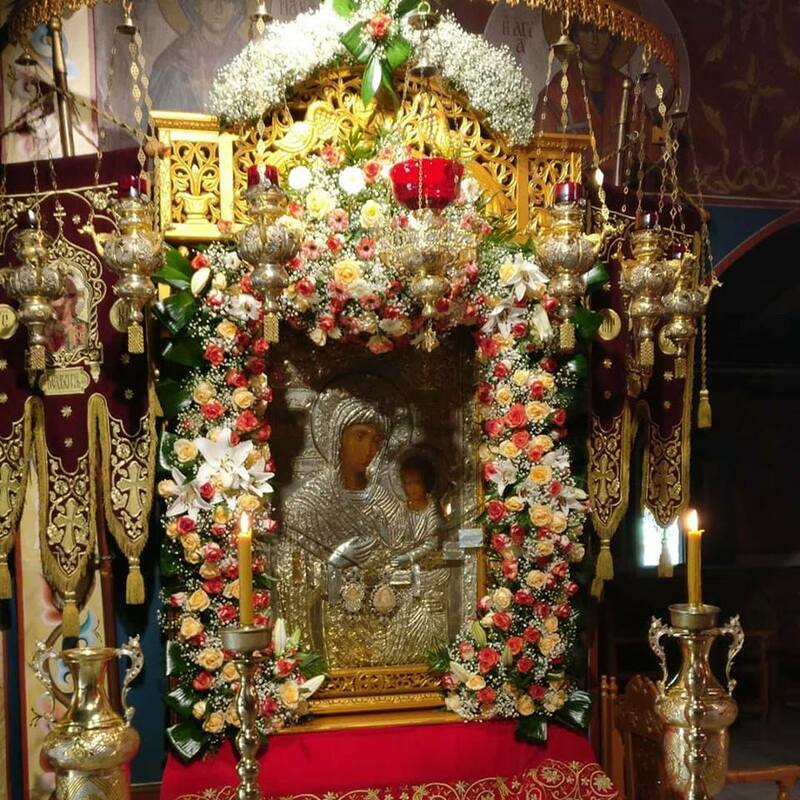 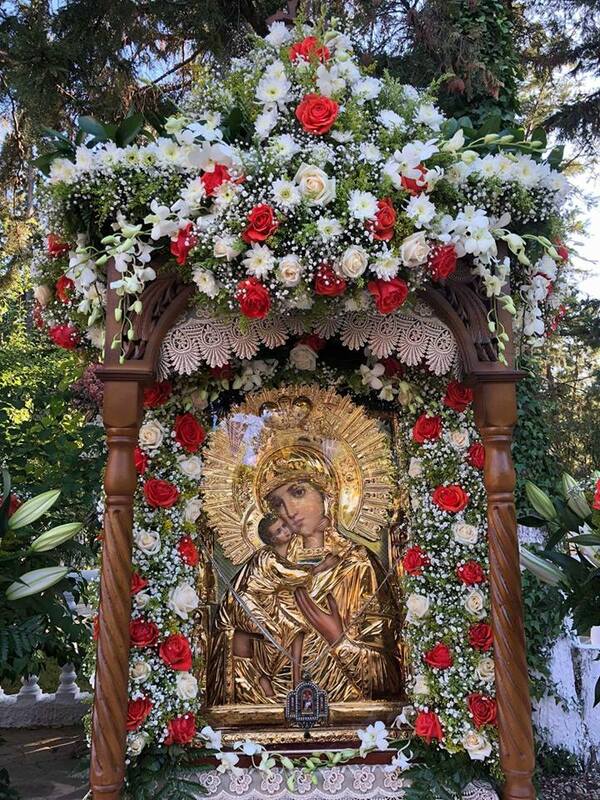 Satisfied with the reversal of the Greek and Russian positions, communion was restored, with the approval of the sister Synod of Metropolitan Onufrie of Bergamo. 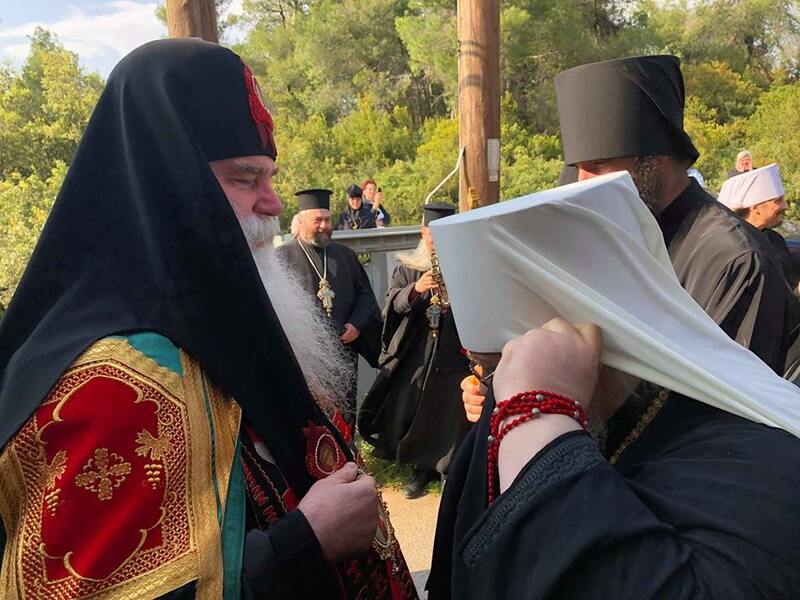 The full press release is below. 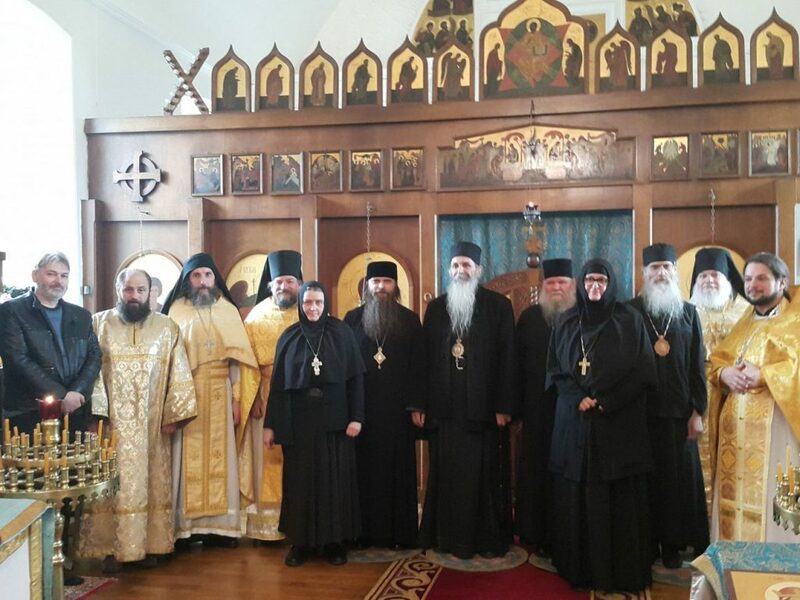 “The Orthodox Metropolia of North and South America and the British Isles would like to inform the Clergy and Monastics of our Synod, as well as the Clergy and Monastics of other True Orthodox Synods, about recent events that have transpired in regards to the recent visit of our Metropolitan John and Hieromonk Enoch to meet with our fellow Hierarchs in Greece. 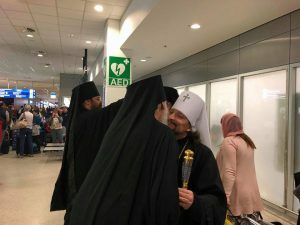 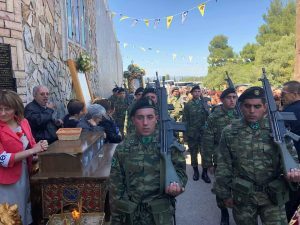 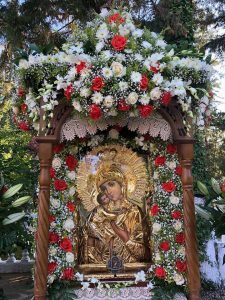 Our Synod has been, since last year, once again in contact with the Synod of Avlona in order to solve the theological issue that caused a disruption of intercommunion between our Synod and that of our brethren in Greece and Russia. 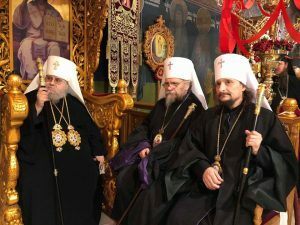 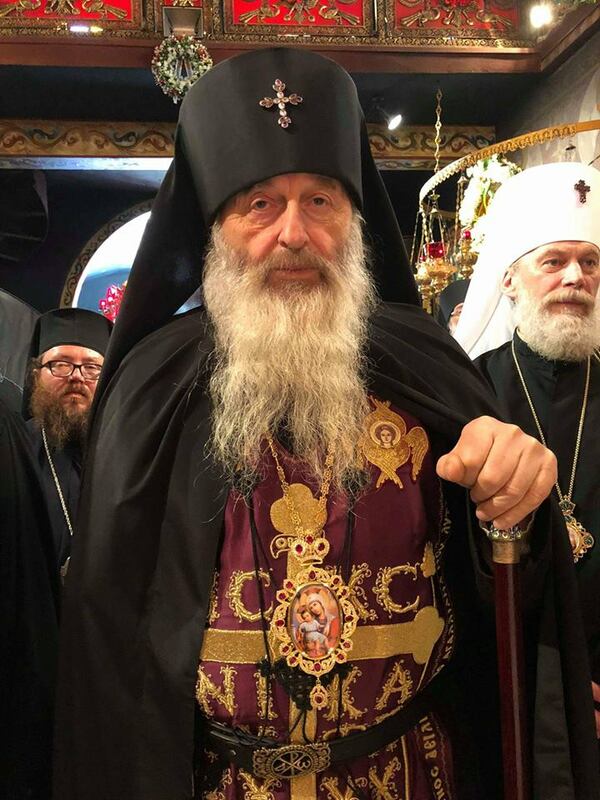 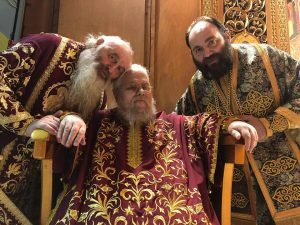 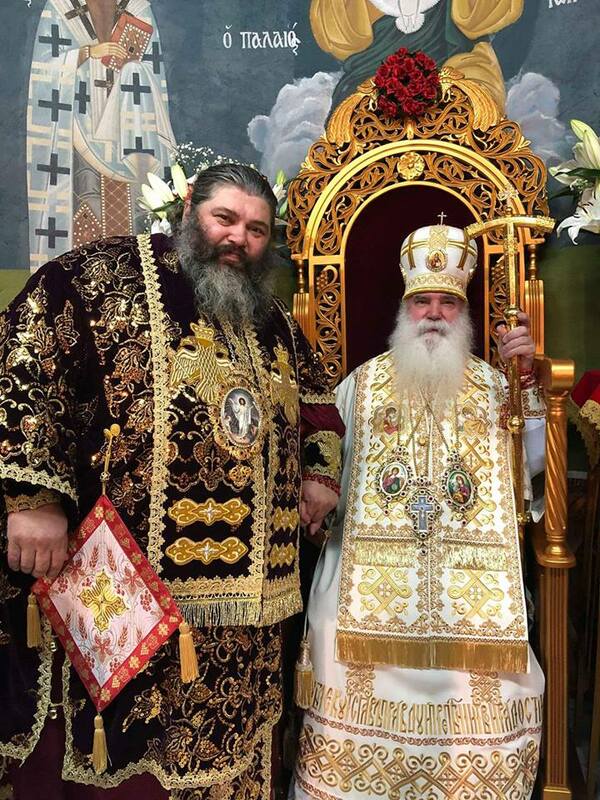 This resulted in many positive developments with the most important being that the First Hierarch of the Russian Church, Metropolitan Seraphim, gave up his tolerance of the acceptability of accepting the ideas of the Imiaslavie heresy. With this move, there was no longer any important theological issue that impeded resumption of full communion between our Churches. 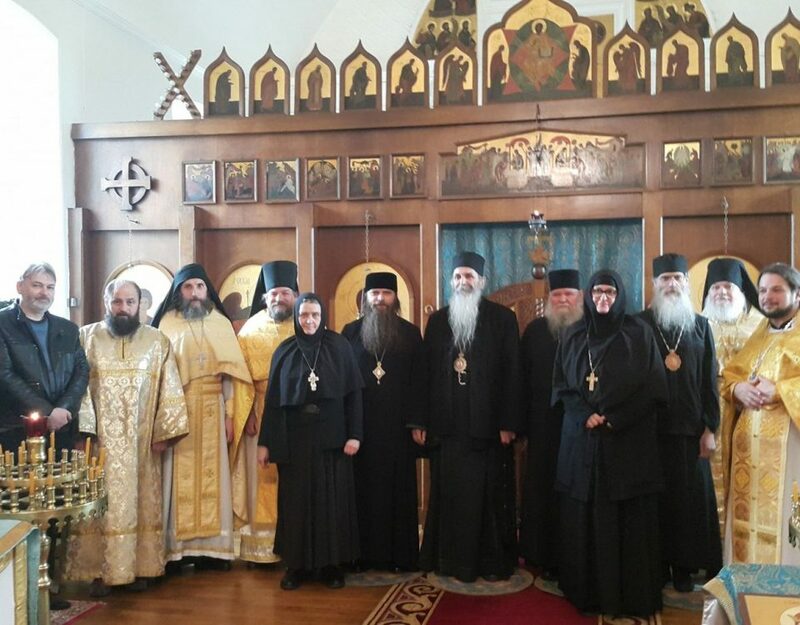 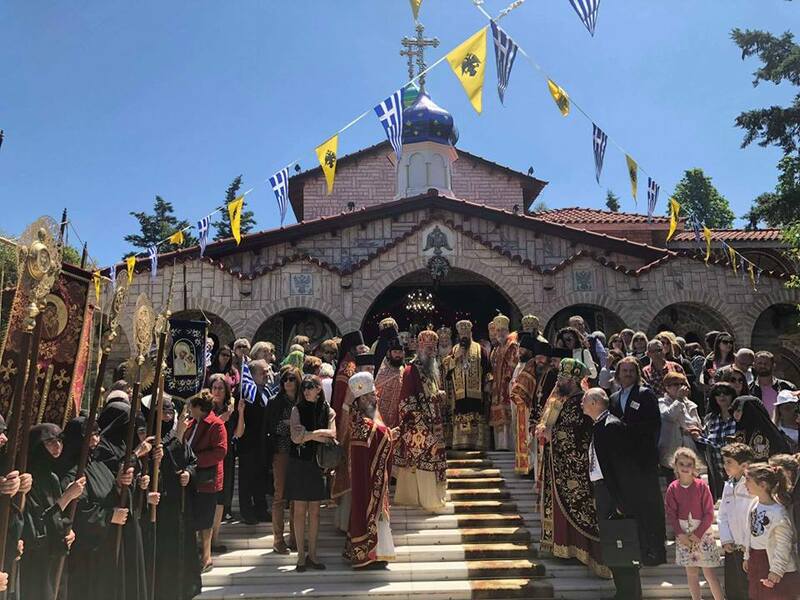 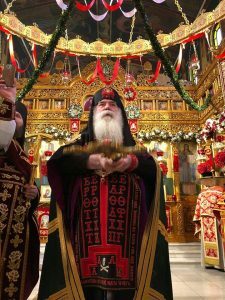 Secondly, a statement was sent by our Synodal Chancery under Metropolitan John that confirmed the basic tenet of our re-affirmation of full communion with the Greek and Russian Synods, and this statement was received with acceptance before any visit was made to Greece. 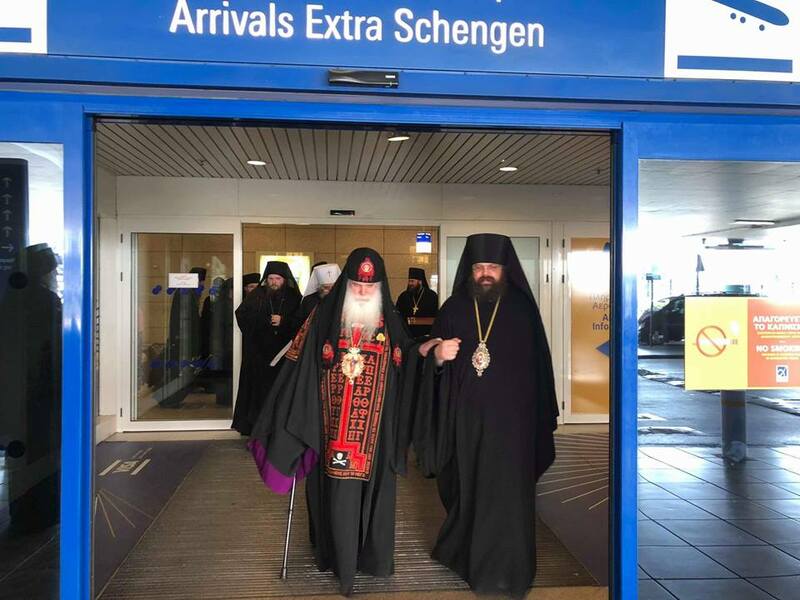 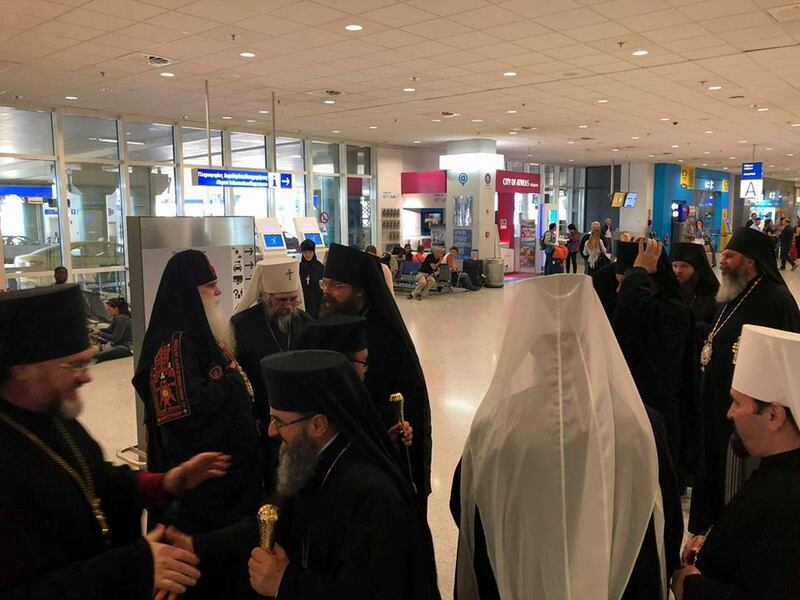 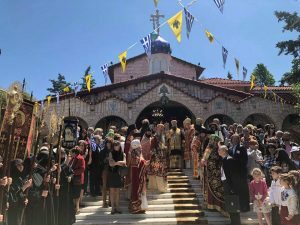 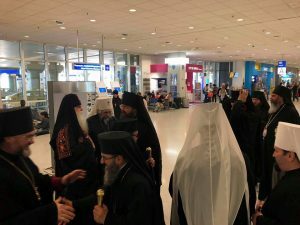 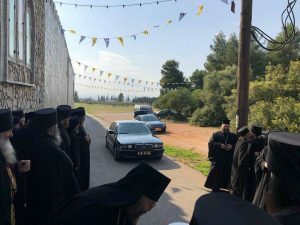 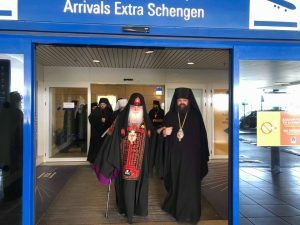 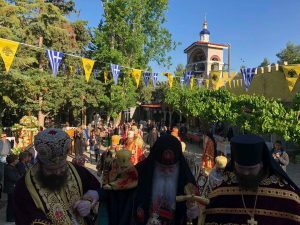 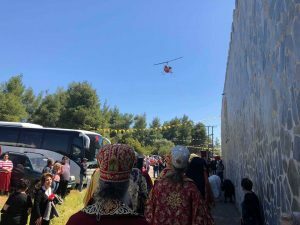 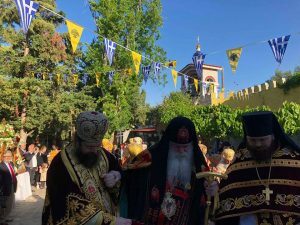 Thirdly, we had not expected to be able to visit Greece so soon, but, an invitation was extended at the last moment, and, despite numerous obstacles of convenience that would have otherwise postponed a visit by a few months, with the consent of our Synod, Metropolitan John, accompanied by Father Hieromonk Enoch, went to Greece. 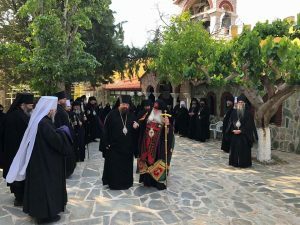 Once in Greece, private meetings were held by the First Hierarchs of the True Orthodox Synods that were present, in which a re-affirmation of our principles was established. 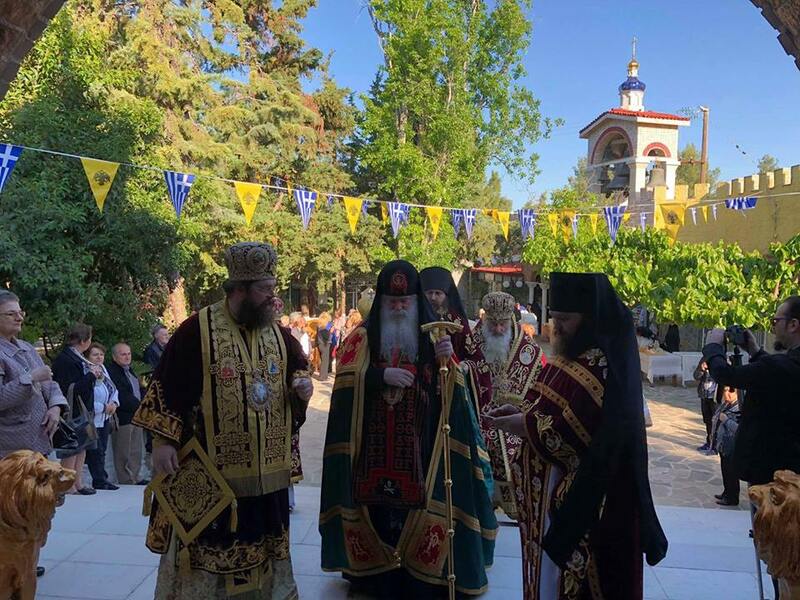 On the Sunday following, that of the Second Sunday after Pascha (Myrrh-Bearers Sunday), we concelebrated and formally sealed the re-union. 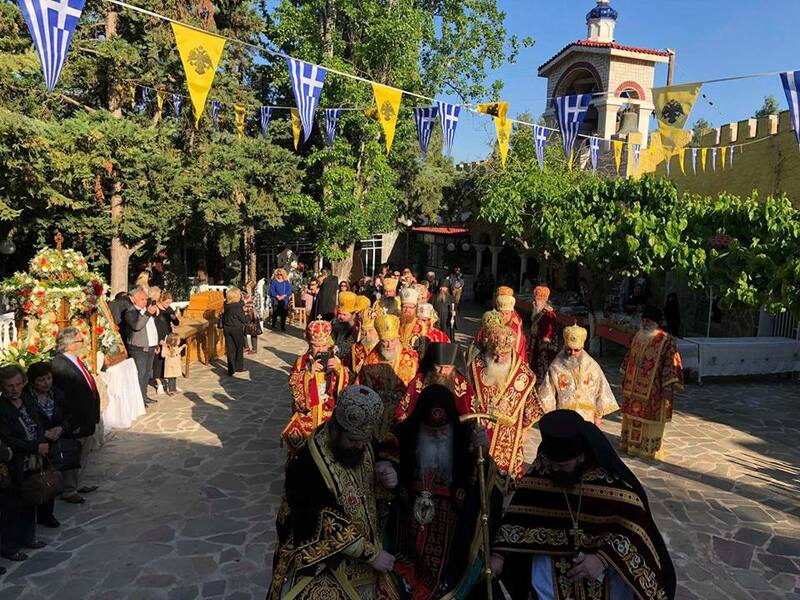 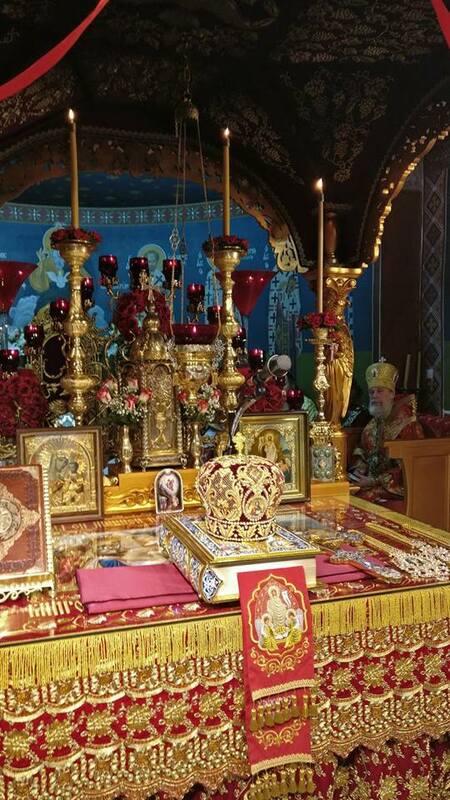 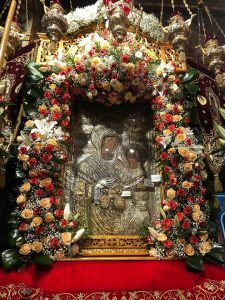 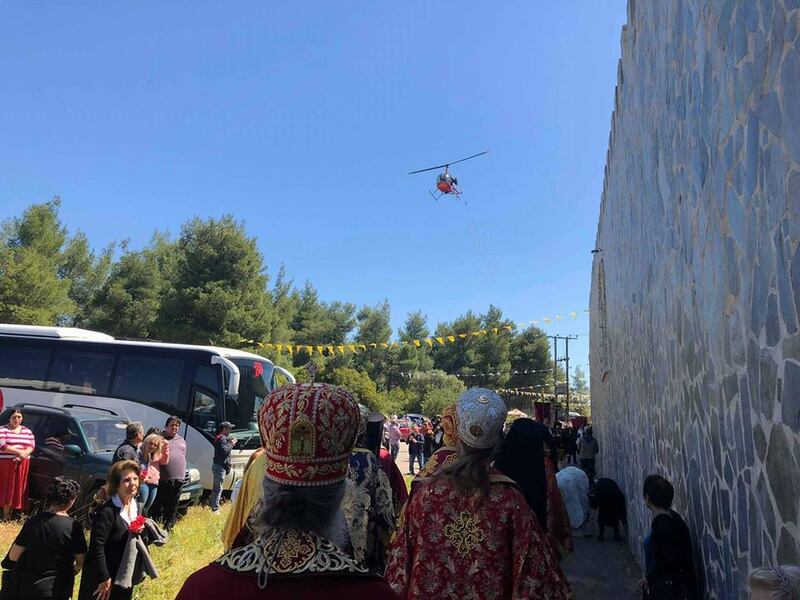 Following the Liturgy and the Procession for the monastery’s patron, additional talks were held, and it was decided that a formal designation should be adopted to identify our mutual communion of canonical Orthodox Sister Churches, in order to distinguish it from other groupings of churches that use the designation Orthodox. 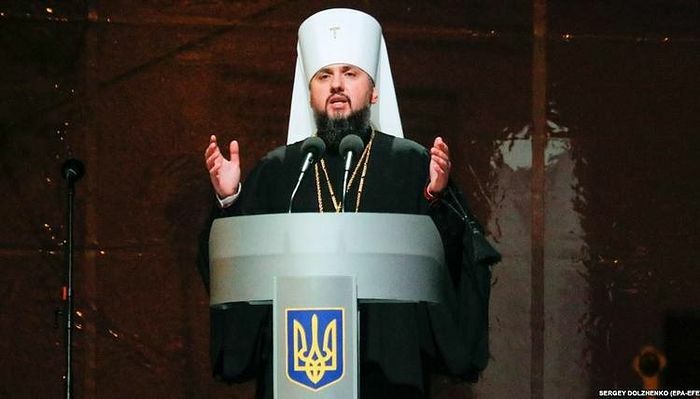 For this reason the name for our Union of Churches was adopted as “The International Union of Genuine Orthodox Churches”. 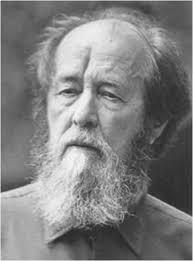 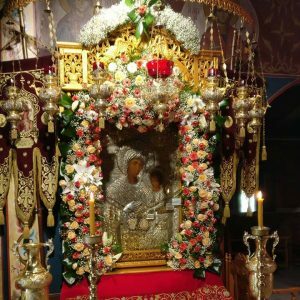 Our common principles are our already accepted principles of True Orthodoxy, and, thus, are against the heresies of Modernism, Ecumenism, Sergianism, and any occult or Masonic teachings, and they also assert an affirmation of the exclusive usage of the Patristic Orthodox (Julian) Calendar. 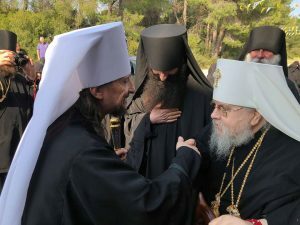 Some 20 Bishops were present for these meetings so that this new International Union comprises Bishops of the canonical Synods of Greece, under Metropolitan Angelos of Avlona, Russia, under Metropolitan Seraphim of Moscow and his successor, Metropolitan Tikhon, Ukrainia, under Metropolitan Varsanuohy of Bukavinia, Georgia, under Metropolitan Christopher of Tiblisi and our own Synod of North and South America and the British Isles, under Metropolitan John of New York. 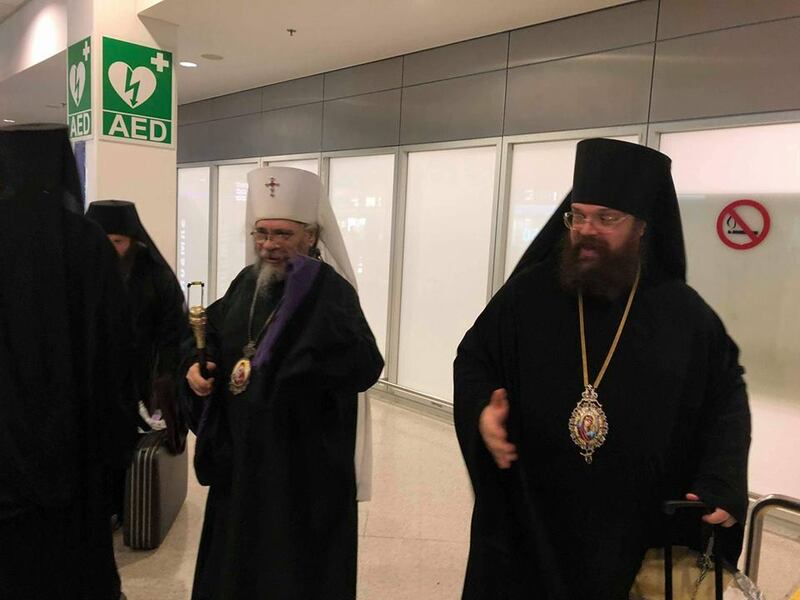 In this Union, all of these Synods are equal members and in no way are subordinate to one another. We believe that, because of the size of the various churches and peoples under these Synods, this new International Union represents the largest grouping of truly canonical Orthodox Churches that are opposed to the heresy of Ecumenism and which are therefore unwilling to be associated with the present claimant of the Patriarchate of Constantinople, Bartholomew.